The BSN program curriculum has both general education and nursing courses, including human anatomy, nutrition, physiology, biology, trends in nursing, and emergency care. In addition to classroom earning, BSN programs typically have an element of hands-on clinical practice, preparing future RNs to assist doctors during surgery, perform lab work, and provide patient and family support for coping with specific illnesses. Programs also help aspiring RNs handle the administrative and managerial aspects of the job, giving them tools to help oversee the other nurses and medical support staff. There are two categories of bachelor of science in nursing (BSN) programs, both of which are available in Delaware. The first is the traditional BSN program, which takes four years to complete. The second, the RN-to-BSN program, is for licensed RNs who do not hold bachelor’s degrees and want to take their education to the next level. RN-to-BSN programs typically take around two years to complete. Many hospitals and other employers in the medical field offer tuition reimbursement for RN-to-BSN programs to encourage their employees to get the best education and training possible. Finally, for students who hold bachelor’s degrees in other fields but are new to nursing, there are accelerated tracks available to help you transfer credits toward your BSN. 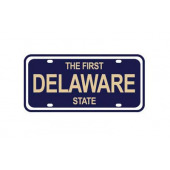 There are approximately 9,740 RNs working in Delaware, earning salaries that are generally between $61,400 and $81,540 per year. Below you’ll find a complete listing of all of the Delaware schools with accredited bachelor of science in nursing (BSN and RN-to-BSN) programs.